This cute design for British birders includes the Flag of the United Kingdom, or Union Jack, with some Birdorable birds that are found around the UK. 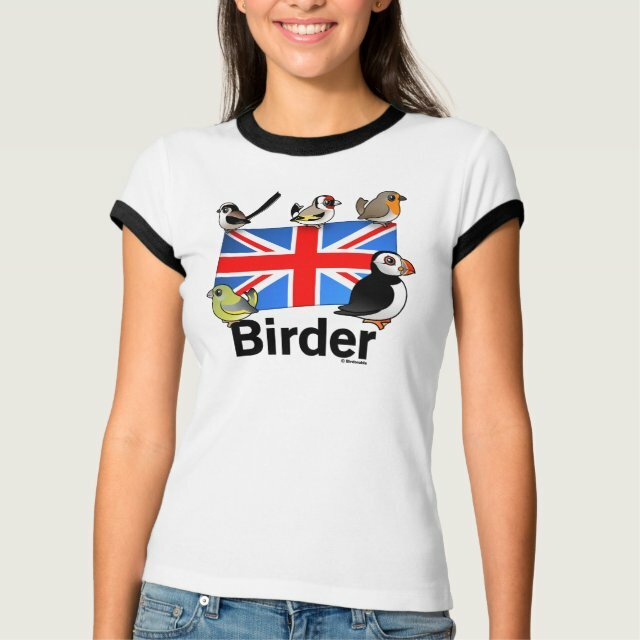 Super cute Birdorable versions of the Long-tailed Bushtit, European Robin, European Goldfinch, European Greenfinch, and Atlantic Puffin are perched around the flag above the word Birder. You can totally customize this gift! Move the design around, change the color or style, add your own text or images - make it your own!